Badminton is considered as one of the popular games in India. With the changing time it has not only attracted the people throughout the world but it has also the attention of the people residing in India. Here are the list of Great Badminton Players from India that you can read and refer to broaden up your knowledge. These famous Badminton Players were also qualified for the London Olympics from India. He is one of the famous Badminton players in India. He was born in the year 1981 in Kerala. He is known for many awards. 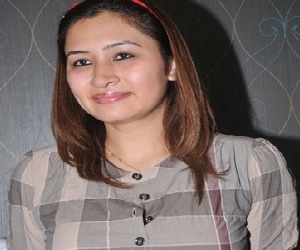 Along with the famous Badminton Player, Jwala Gutta, he is the current mixed doubles champion and is ranked as 7th in the world. 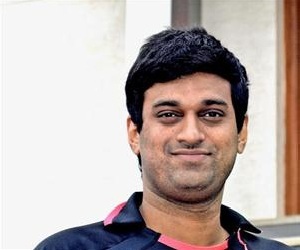 National level title was also won by him along with his partner Sanave Thomas in the year 2002. His list of award also includes G.V Raja Award by the government of India in the year 2012-2013. The world of Badminton also includes this well known name in the list. She was born in the year 1989. She completed her schooling from St. Francis Xavier’s Girl’s High School, Bangalore followed by her Bechalor’s Degree in Hyderabad. At the South Asian Games, she won the gold medal in the year 2006. She also won the gold medal at the commonwealth games, pairing with Jwala Gutta in the year 2010. This famous Badminton Player was born in the year 1983 in Wardha, Maharashtra. 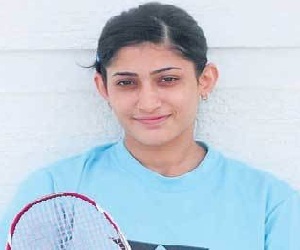 She won the National Badminton Championships thirteen times till 2010. She is a double Badminton Player who has played with Shruti Kurien and also with Ashwini Ponnappa. This athlete from India was born in the year 1986 who is originally from Hyderabad and is well known among the people for his talent. After Prakash padukone, he is the youngest Indian to win a Senior Ranking Tournament in India.He trains at the Gopichand Academy in Hyderabad. This young player was also awarded by the president of India, Pranab Mukherjee as Arjuna Award in the year 2012. The race is still on and the of awards is to be filled in the days to come too. 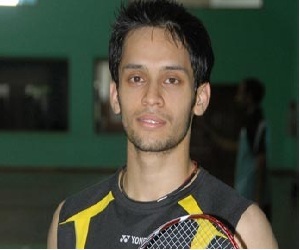 This famous Indian Badminton Player was born in the year 1990 in Uttar Pradesh. The Indian book of badminton records reveals that she is the first Indian to win a medal in Badminton at the Olympics followed by World Junior Badminton Championships and was also the one to win a super series tournament. She is a well known Badminton player who records are heart winning. Saina has shown the world that India can set its standards in the world of Badminton too. She is an influence for the young minds who want to set their career in the field of Badminton. This legend has shown the world that India is always a step ahead.